Berlin, 26.03.2019. 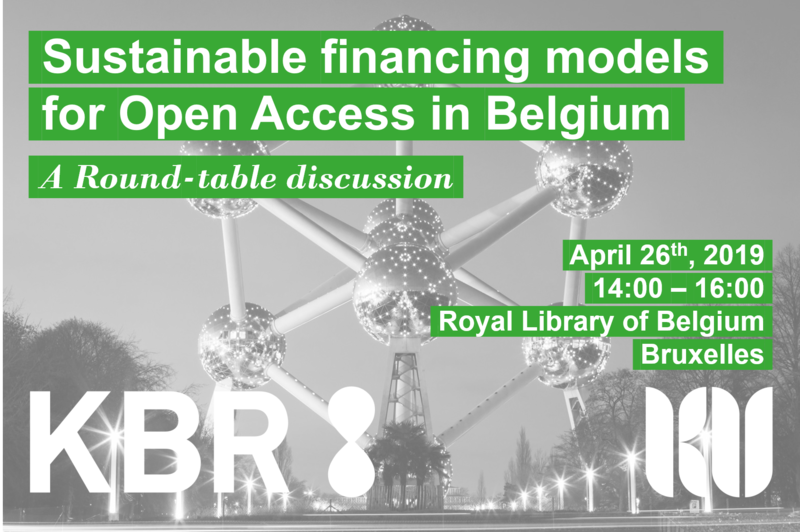 KBR (Royal Library of Belgium) and Knowledge Unlatched would like to invite you to a round-table discussion on sustainable financing models for Open Access in Belgium. As you may know, Knowledge Unlatched offers a marketplace for various Open Access financing models. Whether your library engages with KU or not, your feedback, questions and ideas will be of great interest to us and we would like to discuss these with you and your fellow Belgian librarians. Topics to be discussed can include: Brief introduction to KU, feedback on the current models for books and journals; wishes for expansion of the models and content; how to support your local researchers; how to promote Open Access within Belgian institutions etc. Please note that the main language of the meeting will be in English, but French will also be possible. If you or any of your colleagues would like to attend please contact us by the 12th of April. Please do feel free to forward the invitation to any colleagues who might be interested in attending. We look forward to a fruitful discussion with you and other librarians from Belgium.